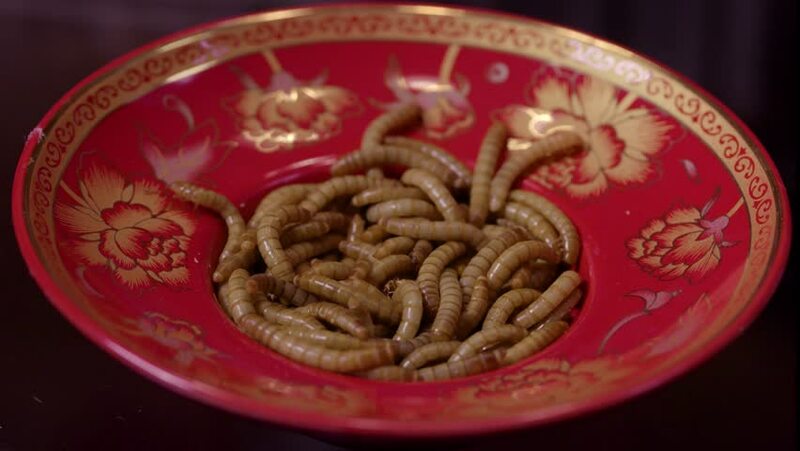 A close up shot of live mealworms on a red plate. hd00:14Painting The Abdomen with Iodine as an antiseptic for skin before the commencement of Surgery. hd00:27Cooking the meat forcemeat using the meat grinder,Putting minced meat and vegetable mixture through mincer at home,Butcher meat grinding using grinder mincer.